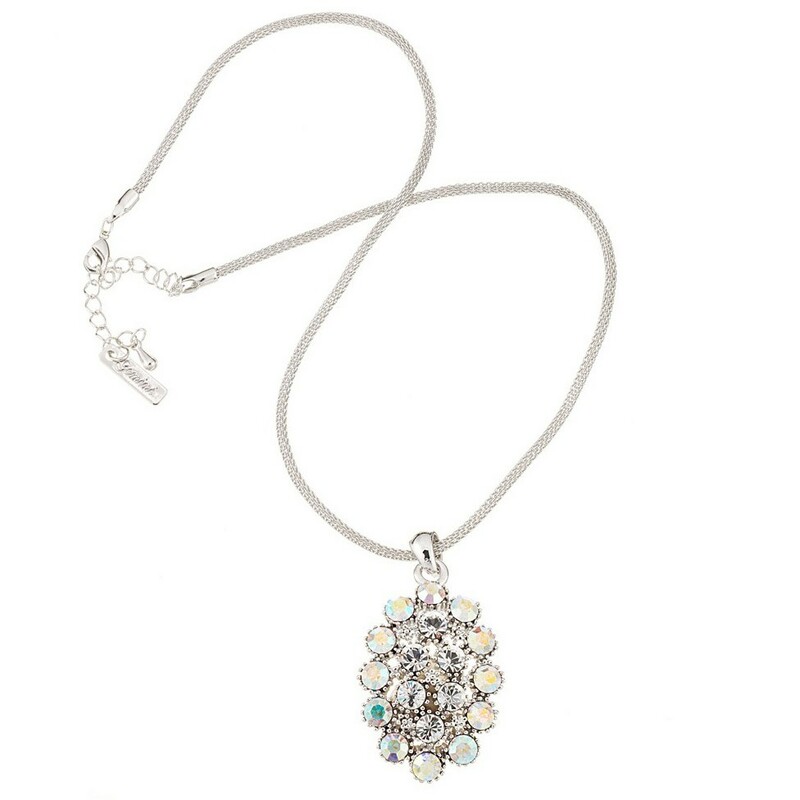 AB Swarovski Crystal Cluster Necklace, with a rhodium plate finish, weighs 21 grams with wearing lengths of 410mm to 460mm. 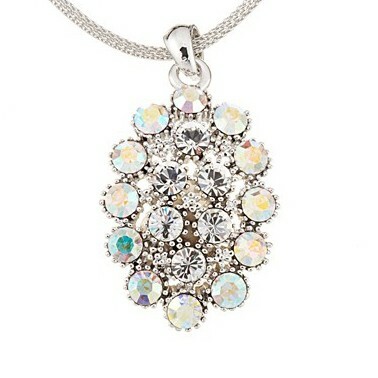 A large crystal cluster of white diamond and AB Swarovski crystals create this necklace. Rhodium plated to keep the shine on nickel free metal. This stunning necklace has wearing lengths of 410mm to 460mm. The fastening used is a lobster claw and chain. The pendant itself is 28mm wide and 37mm high and weighs about 21g.